Welcome back!! This is part two of the high waist shorts tutorial. 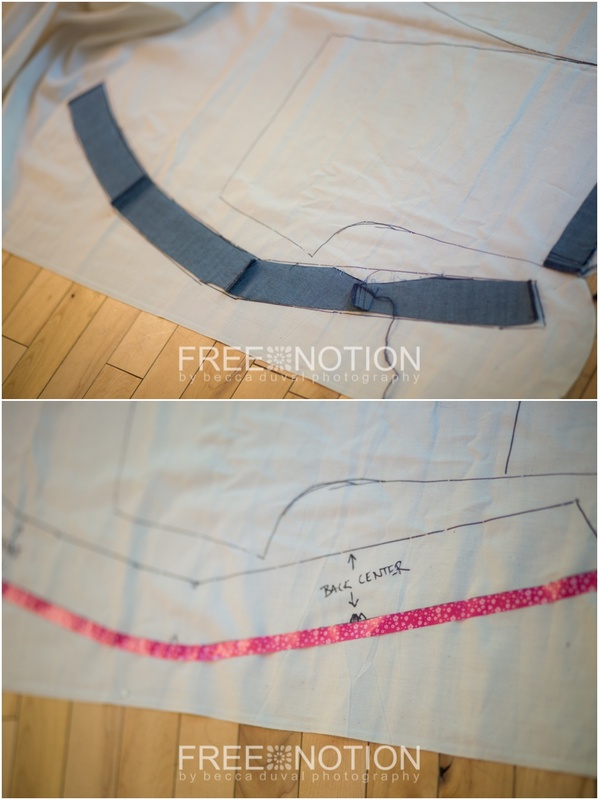 You can read the fitting portion of the tutorial (part one) here! By now you've fit your pants, removed excess seam allowance, and traced your new pattern pieces. 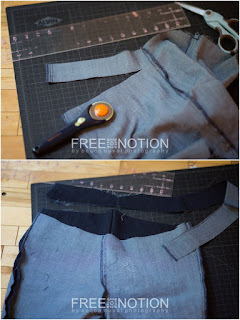 Sew your seat, inseam, and right outseam only. 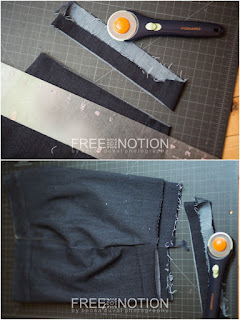 Finish the edges on your left inseam pieces. 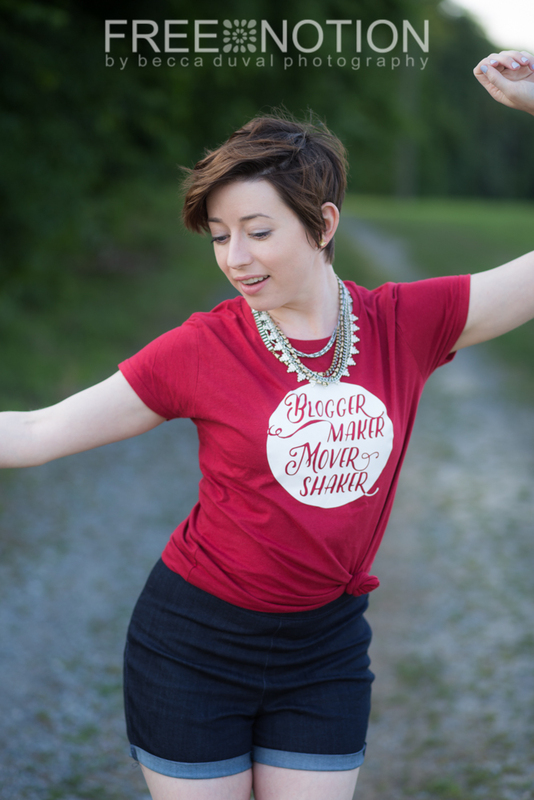 We're gonna add a zipper here eventually! Mine have too high a rise in the front. 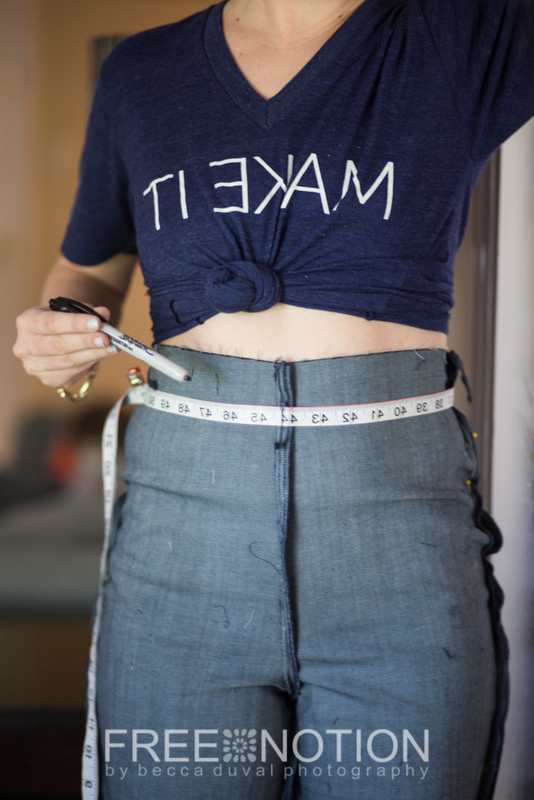 I'm going to wrap my measuring tape at my waist, and secure it with a clip. Then mark a level line across my waist. Now mark 2 inches down from the (new and improved!) top of the shorts. 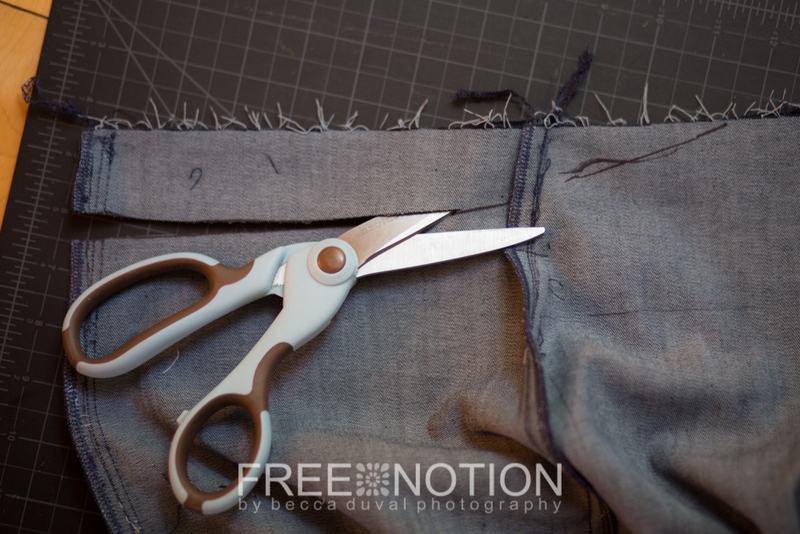 We're going to cut our own custom waistband! Cut off the waistband. 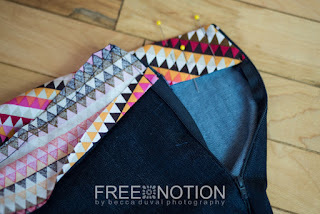 Trace it (don't forget to add seam allowance! ), and mark the grain lines. 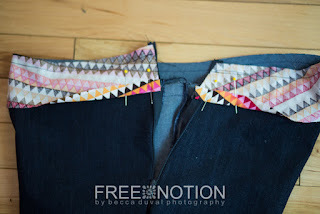 Stitch the waistband exterior right sides together. Iron the waistband, seam up. Now grab your zipper! 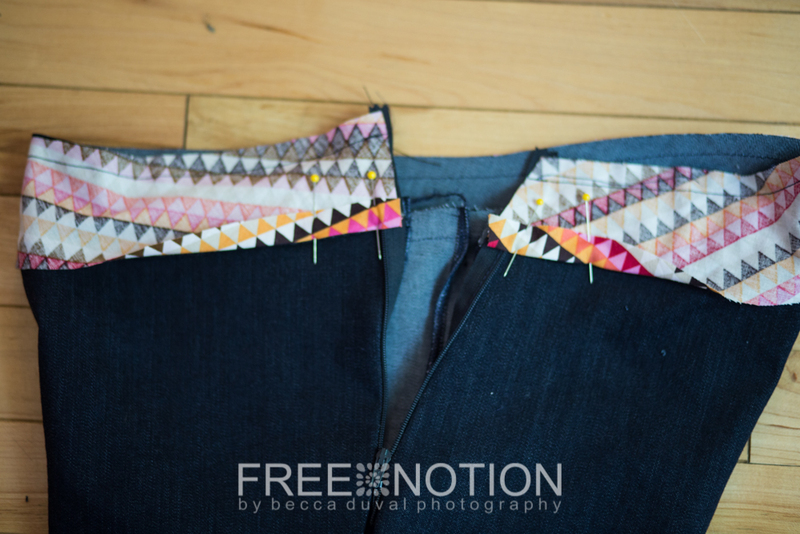 You're going to pop on your zipper foot and stitch the zipper, starting from the waistband, all the way down. 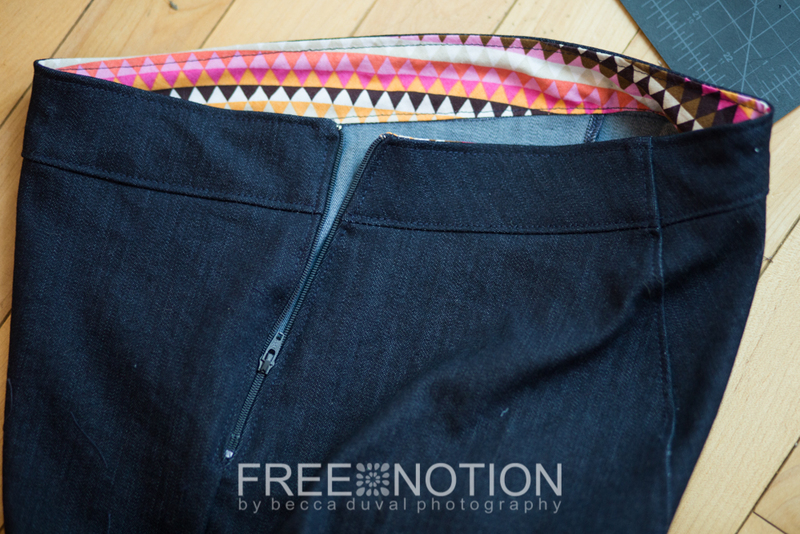 The trick here, is lining up the top of the zipper with the very bottom of the seam allowance on the waistband. I marked those with pink tape above. Lay your lining right sides together with the waistband. Stitch along the top seam, carefully missing the top notch of the zipper with your needle. Lay your waistband lining down, right sides together, and fold up the seam allowance. 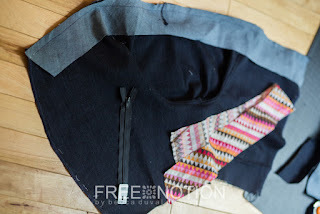 Pin in place, so you can stitch down the zipper line. Clip the corners, and flip your waistband lining down. 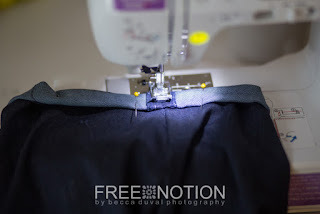 Tuck your seam allowance up and pin in place. 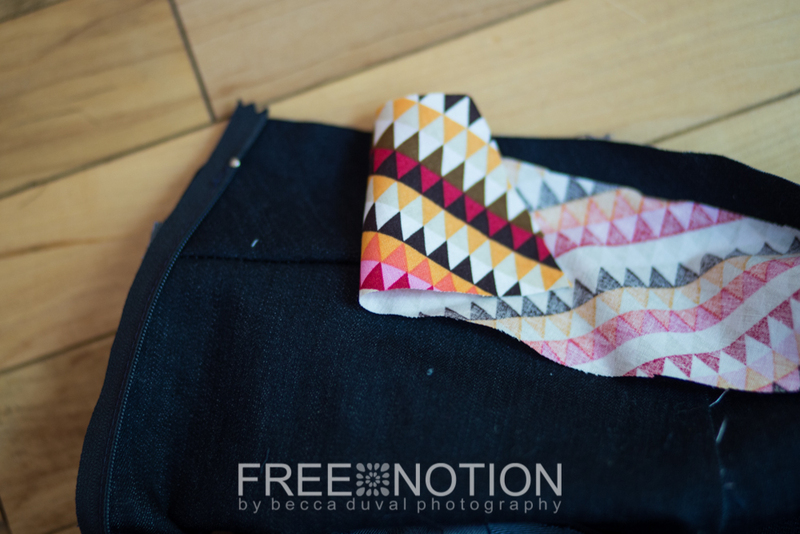 Top stitch all along the edges of the lining, zipper, and top of the waistband. 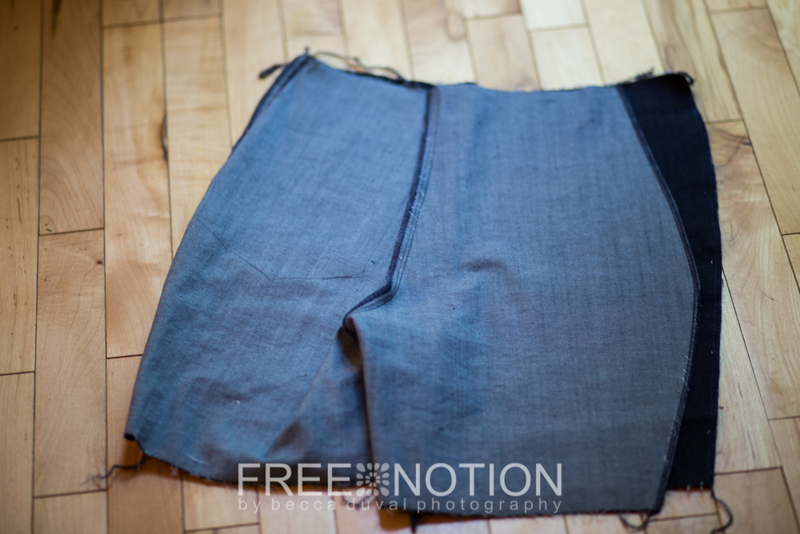 Your shorts might have an uneven hem after all our adjustments. 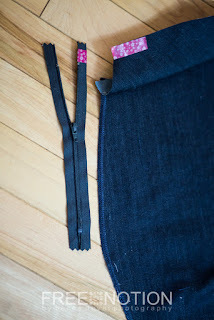 Neaten the edge of one side, then overlap the two pant legs and trim the other leg to match. Try them on again, and find yourself a mirror. 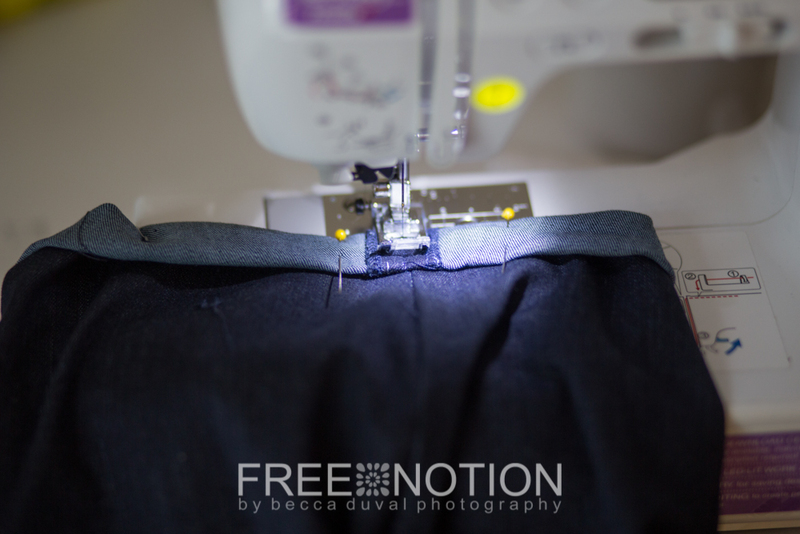 Figure out how much you need to fold your shorts to get to your desired inseam. Then, fold half that first, and fold it up again. Repeat on the other side and adjust until it's level all around. 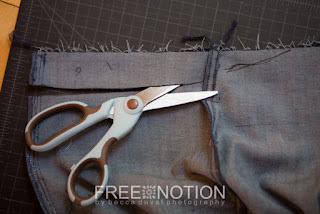 Stitch in the ditch inseam and outseam of your folded hem line. That's it! You can add back pockets or belt loops if you want to, I blew through too much of my muslin to afford such details, but they'd be super cute!